Each episode is 28 minutes. 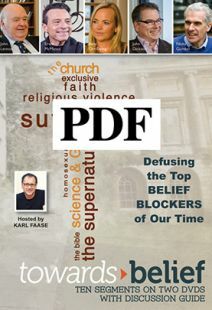 Package contains two DVDs with a PDF of the discussion guide. Additional discussion guides can be purchased separately. Search for item # 97712PDF. 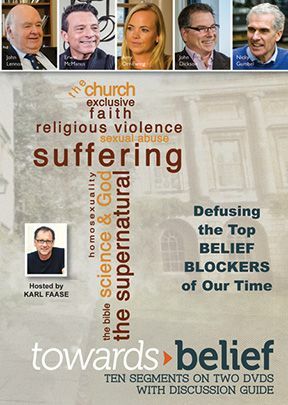 Australian pastor Karl Faase interviews churchmen and scholars in Britain, the U.S., and his homeland in this 10-part series, addressing what he calls "belief blockers": issues that deter many from embracing the Christian faith. For each of these topics—the problem of suffering, the composite character of the Bible, the acceptance of supernatural phenomena, religious-based violence, the exclusivity of belief systems, clerical abuse, discordance with modern science, condemnation of homosexuality, and the presumed obsolescence of the church—Faase first poses questions to men and women on the street about their attitudes, before turning to the experts, who respond to the doubts raised. The quality of the discourse is quite high, representing serious, thoughtful consideration that will also serve as a useful exercise in apologetics for Christians. 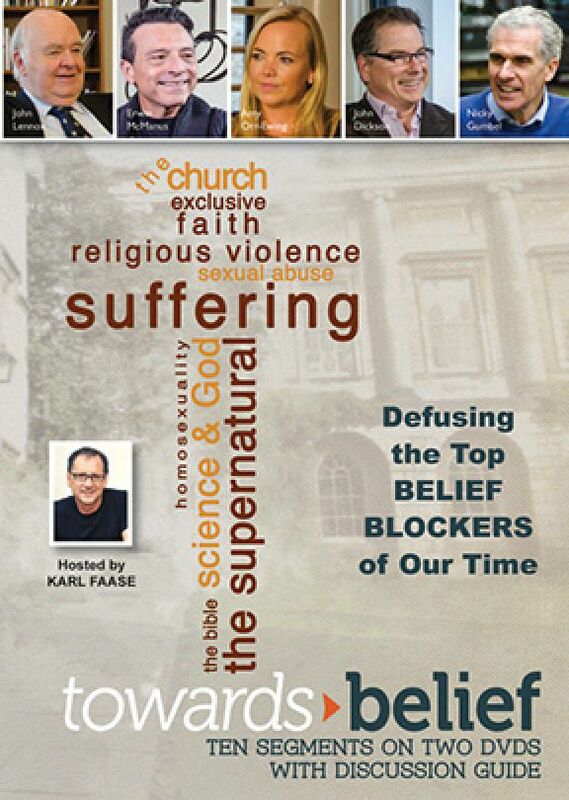 Whether this will convince nonbelievers is debatable: the episode on clerical abuse, which includes testimony from victims, is basically a heartfelt apology, while the one on homosexuality is mostly a straightforward restatement of the orthodox position that many find a stumbling block. In the final segment, interviewees describe how they overcame doubts to embrace belief. 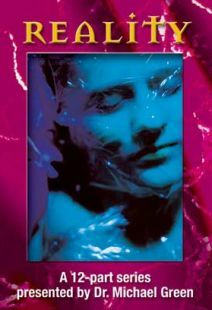 Extras include a PDF discussion guide. 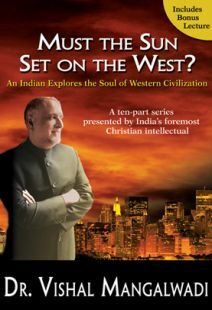 Serving up a thought-provoking, even-tempered, and occasionally moving exploration of the obstacles to faith, this is recommended.